Litho printed beer mats are made from 100% recylcable wood pulp fibre board & eco inks, great for more complex designs or photographic images. Litho printed beer mats are made from 100% recylcable wood pulp fibre board & Eco Inks, great for more complex designs or photographic images. 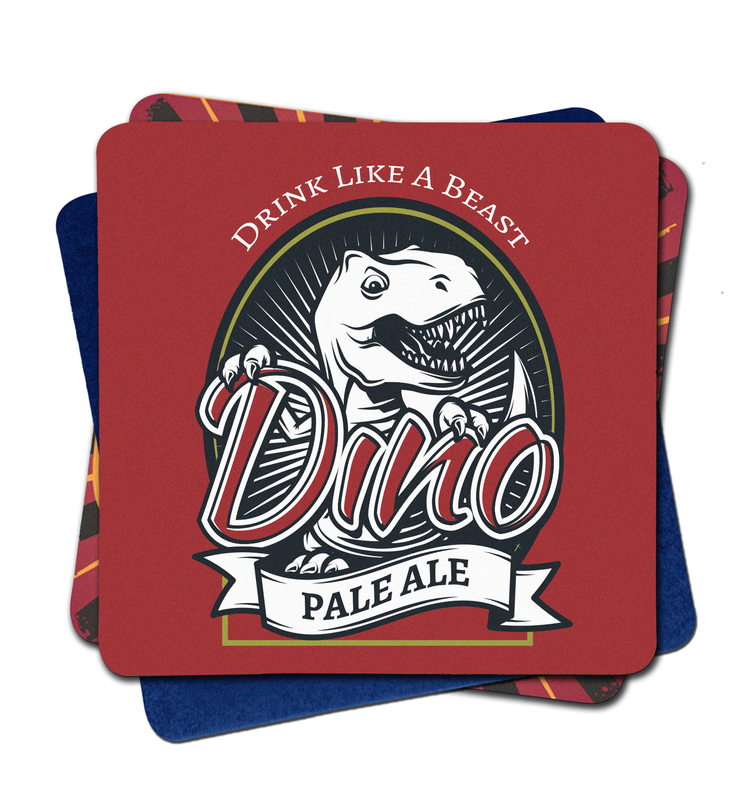 These absorbent coasters are designed for soaking up beer spills, making them ideal for bars, pubs and restaurants. Square shaped with rounded corners or circlular, our beer mats are printed in full colour on one or both sides. We manufacture all of our beer mats here in the UK meaning that you get top quality at low prices! These are packed in 125’s then wrapped in 1000 – 380mm x 100mm x 160mm – Approx. 5 kilos per box – 5 grammes each. +/-5% tolerence. Made from 100% recylcable wood pulp fibre board & Eco Inks.